An indication that the SNES is not receiving power is that the red light will not be lit when the power switch is on. To narrow the problem down to the system one would want to make sure they're using a proper AC adapter. The Nintendo brand adapter has an output of DC10V 850mA. It is the same adapter used for the Virtual Boy. Also, one would make sure to test it in various outlets to ensure the receptacle on the wall is not the cause of the problem. A common cause of the power not working in a model 1 SNES is the 7805 Voltage regulator and/or the fuse. The 7805 is connected to a metal piece that acts as a heatsink, if it is powered on without this connection it will get hot enough to burn a finger upon touching it. These regulators can be bought at most electronic stores for under $2 (USD). To replace the current 7805 you will need to cut/remove the old one and solder the new one on. This is not a simple task, and moderate soldering skills are required. If after replacing the 7805 regulator the system still does not receive power you will most likely need to replace the fuse. 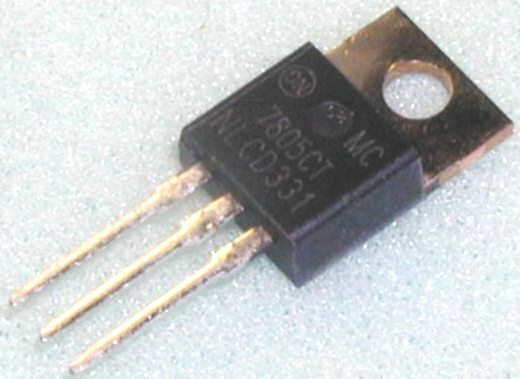 The fuse is a piece of black plastic that hangs over a gap in the mainboard and is connected via two wires to large solder pads. It is possible to replace this with another fuse, or to risk it and just use wire to bride the gap and have no fuse at all.